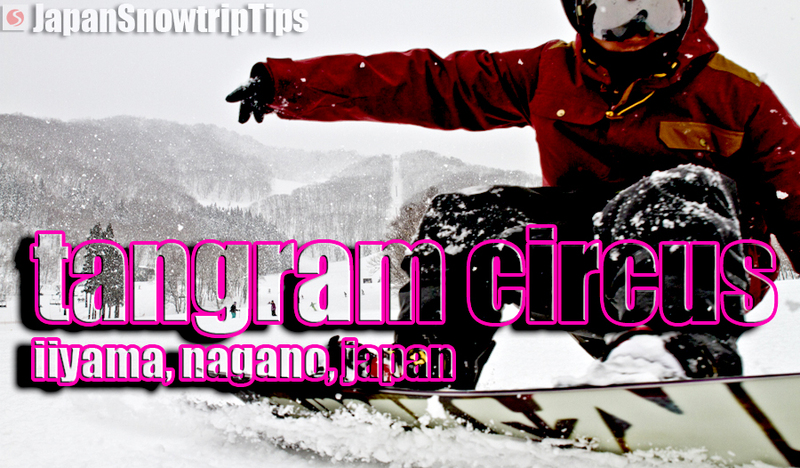 Summary: Part of the massive Mount Naeba Ski Area, Kagura comprises three distinct riding zones and offers skiers & snowboarders a lot of options with fun, predominately mellow terrain on and off-piste. Long trails, easily accessible off-piste zones with an open off-trail riding policy, good lift system and proximity to major public transport make Kagura one of our favorite ski resorts in Yuzawa Snow-country Japan. Of all the hundreds of snow resorts in Japan, Kagura is one of the best destinations for snow sliders of varying abilities. Beginners and intermediates are well-catered to on-piste, while upper-intermediate/advanced riders will have fun cruising long groomers or flowing through easily reachable powdery off-piste zones spread across a large rideable area. 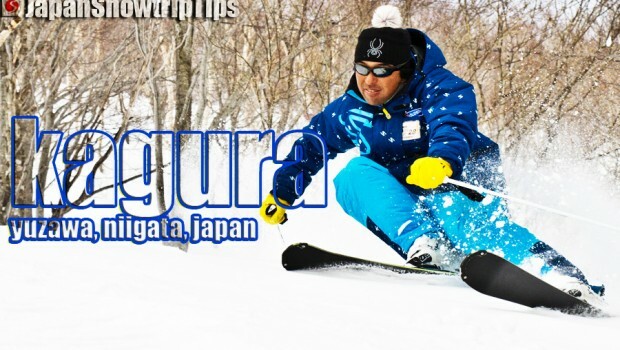 Kagura`s terrain isn`t the steepest — in fact, it`s decidedly mellow on and off the trail — but its expansiveness and high elevation provide visitors with a lot of choice during one of Japan`s longest winter operating schedules. 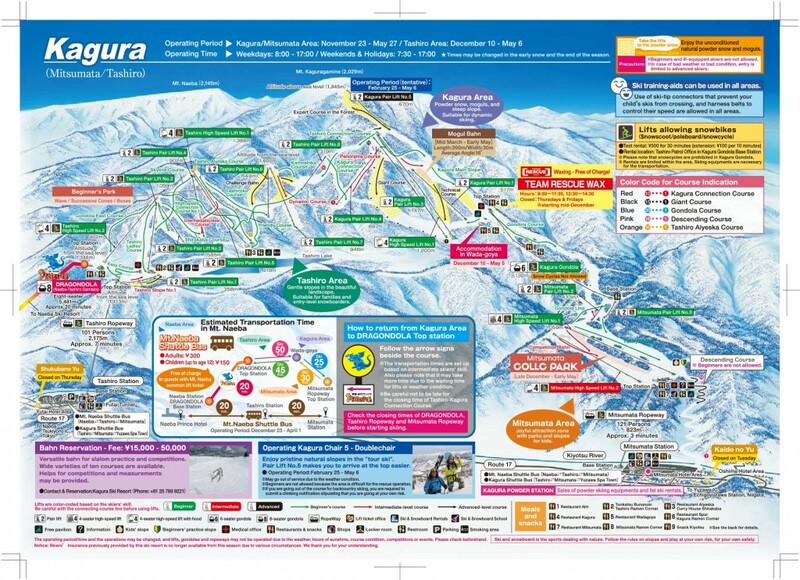 Naeba Ski Area — connected with Kagura via the world`s longest gondola, the Dragondola (5.5km) — is larger and more well-known as a domestic skiing destination largely due to its ease of access from Tokyo into near-by Echigo-Yuzawa Station. But Kagura`s less crowded, laid back atmosphere amidst long widely groomed slopes and leisurely rolling off-piste zones makes it our preferred side of the linked Naeba-Kagura ski domain. Piste riding at Kagura is suitable for all levels but mainly offers lower/mid-level skiers & snowboarders the majority of options across its extensive trail system with 24 courses. Pistes are wide and generally long although continuous vertical before flattening isn`t something you`ll find much of at Kagura. All in all, everyone can have fun at Kagura on the trail but advanced Super-G seekers will need to cool their jets for the day. Beginner: Novice skiers and snowboarders have a lot to like about Kagura. Nearly half of the mountain is statistically marked as “green” and actually feels like there`s even more beginner terrain than indicated. 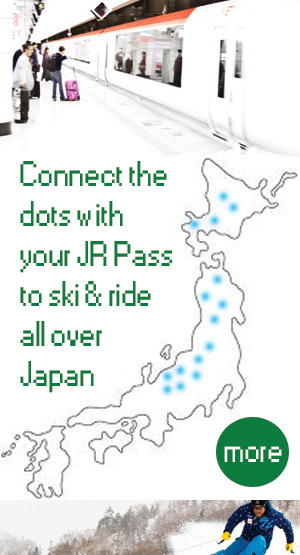 Beginners can comfortably access easy terrain from either the Mitsumata Ropeway or Tashiro Ropeway. However, the Tashiro side of the ski area offers far more options for a full-day of beginner adventures. Intermediate: If it`s not marked for beginners at Kagura, then it`s more-or-less rated for intermediates. There are very few places on-piste that intermediates can`t handle comfortably. The red trails dropping from Chair lift #3 in the Kagura zone above the Mitsumata area are the best options for intermediate riders. These runs are fun and provide a nice amount of vertical when ridden all the way to the base of the 6-seater Kagura Gondola. Advanced: If you want the steep and deep Kagura isn`t the place for you. Well, it`s not the place for the steep at least. There`ll be plenty of deep around mid-season, but aside from the “Expert Trail in the Forest” beneath Kagura pair lift #5 and a couple of other short courses mid-mountain in the Kagura zone above Mitsumata, you won`t find another black rated trail until you wind down the twisty return course from the Mitsumata Ropeway top station to the parking lot below. As the steepest piste has a gradient of only 32°, high-octane racer-types might want to search elsewhere for their pisted pleasure. Upper-level skiers & snowboarders without Olympic speed record ambitions will still have a good time at Kagura with so much rideable terrain to explore. The off-piste skiing & snowboarding policy at Kagura is excellent. 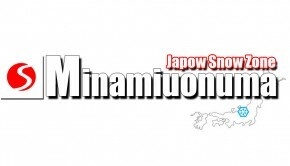 It`s one of the few mountains we know in Japan that unapologetically incorporates an “open terrain policy” allowing the majority of its ungroomed terrain to be accessed without the threat of fines, lift pass confiscation or imprisonment. With such a welcoming off-piste perspective, it helps overshadow the fact that most off-piste terrain at Kagura is relatively mellow. But mellow doesn`t equal awful. There`s a lot of short, rolling terrain sections with widely spaced trees easily reachable by chairlift spanning the entire ski area including all three Kagura, Tashiro & Mitsumata zones. The Kagura zone offers the steepest sections, as well as nice backcountry hike access points dropping from Mount Kaguramine reachable in 30-90 minutes depending on your goals. There are also a few areas that remain un-groomed allowing skilled riders to lap Pair-chairs #1 & #3 for some lazy pow lines in zones normally pisted at other ski areas. All in all, the lift-accessed off-piste terrain at Kagura is extremely enjoyable to ride and will keep advanced riders smiling regardless of lack-of-pitch. Kagura`s off-piste areas can also potentially serve as training grounds for intermediates looking to step-up their game off the trail. Kagura is quieter during the week than interconnected Naeba, but the parking lots at the Mitsumata and Tashiro Ropeways won`t be empty. However, the terrain is definitely expansive enough to disperse visitors into the zones suitable to their levels, allowing for a lot of room to play without feeling cramped. Proximity to Echigo-Yuzawa Station — which brings large weekend crowds from Tokyo into the Yuzawa ski areas — can make wait times at the Tashiro & Mitsumata Ropeway base stations very long. If you don`t get there early, your day could start less than ideally. Once you finally make it to the top of the Kagura zone if that`s your intention (no less than 1 hour later), you`ll likely be able to find little pockets to play in as the terrain is pretty expansive, but solitude will not define your weekend riding day during peak season at Kagura unless you hike outside the boundary. There are a total of twenty-two (22) ski lifts at Kagura — 2 Ropeways (Tashiro & Mitsumata), 1 six-seat gondola, 5 high-speed quads and 14 pair lifts. Overall, the lift-system at Kagura is fairly good. The high-speed chairs and 6-seater are fast and efficient, while the two seaters are fast enough to get you around yet slow enough to allow you to enjoy the scenery (or loathe the music…whichever you decide). We think a few lifts could be torn down and possibly re-thought so as to allow some more efficient trail linking, but we`re more concerned with the terrain accessed by the lifts as opposed to the lifts themselves. In that, the lifts allowed nice access to the great, widely spaced trees dropping away from nearly every pisted trail worth riding. Cold temperatures and high elevation make the snow quality & annual totals very good at Kagura. Kagura has one of the longest seasons of all Japanese ski resorts and it`s upper slopes maintain very good snow quality late into the season. Lower slopes at Kagura can definitely suffer from maritime temperature fluctuations commonly experienced by Niigata ski areas during the winter months. Likewise, high winds can buffet the upper reaches of the ski area closing lifts and elevating avalanche danger. 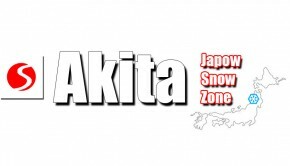 Generally though, you`ll have very little to worry about in terms of snow totals at Kagura as annual snowfall accumulations rival any ski area in Japan. If you plan to visit the massive Mount Naeba Ski Area — including both interconnected Naeba and Kagura — it`s best to allow yourself at least two full days of riding. There is so much terrain to explore (albeit generally beginner/intermediate) and travel time between the two ski areas will take far more than an hour for the average rider attempting an up-down-up assault across the entire ski area. Rushing through your day to see it all isn`t adviseable, as you`d spend far too much time riding chairlifts rather than skiing or snowboarding. The Dragondola cable-car spans Lake Tashiro and connects Naeba Ski Area with Kagura, operating as the world`s longest gondola covering a distance of 5.5km in 20 minutes. As we said in our first snowtrip tip above, you could feasibly traverse the entire Naeba/Kagura ski area in one full-day thanks to the Dragondola, however it would be a non-stop endeavor without allowing any time to realistically enjoy the terrain. Likewise you`d need to be very careful not to get stuck on one side or the other as the Dragondola only operates from 9am-3:30pm and only runs during peak season from mid-December to end-March. Because winter weather in Japan is so affected by maritime conditions, it can equate to rain in the valley when snow is forecasted (even during peak season). But Kagura`s high elevation above 1800 meters guarantees that if you feel rain droplets on your head at Echigo-Yuzawa station during winter months anytime from November to May, you`ll be covered with snowflakes on Mount Kaguragamine (2029m). 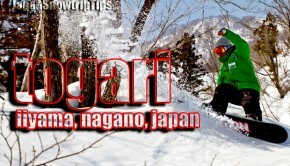 Official snowfall statistics are a bit of a mystery at Kagura, but rest assured if you`re at Kagura for a skiing or snowboarding trip in Japan during mid winter operations, you`ll have plenty of quality snow to play in. The Kagura pair lift #5, accessing the highest point of the lift system at Kagura, offers some extremely fun, pow-filled, tree covered terrain. Likewise, there is excellent backcountry access from the top station. But be aware that this chair only operates from February or March until the end of the season. For a lot of Christmas/New Year holiday visitors this isn`t beneficial, as some of the best easy access off-piste terrain in the entire skiable area funnels down from the top of this lift. Make sure to check the official Kagura website for pair lift #5 opening status before you arrive. There`s a lot of terrain to enjoy at Kagura. 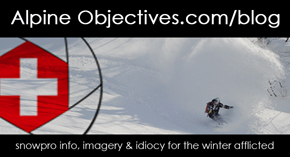 There`s also some terrain to not enjoy including a bunch of flattish sections that could prove challenging especially for low-level snowboarders (and annoying for high-level riders). If you plan to make the full descent from the top of Kagura pair lift #5 to the top station of the Mitsumata Ropeway, your path becomes extremely flat once you get below the top station of the Kagura 6-seat gondola (far riders left of ski area). The descent into the valley (below the Mitsumata Ropeway) can be an excellent finishing section for more advanced riders, but is not recommended for beginners (we strongly advise low level skiers/boarders to ride the Ropeway down to the base parking lot). However, advanced riders are rewarded after the painfully flat return to the Mitsumata top station with a steeper twisty return trail or even the possibility to hop into some pretty steep trees all the way to the parking lot for a few hundred vertical meters. As the season is long at Kagura extending into May, be prepared for extremely variable snow conditions along your descent from top to bottom. It`s not uncommon to snag fresh early morning powder in late March/early April, but be alert for the quickly changing snowpack based on time of day & elevation. One long March/April run can easily turn into 6 at Kagura — smooth pow, heavy mashed potatoes, melted slush, velcro, ice and maybe some dirt. Not to be forgotten, one final “condition” — fun — is also normally part of a day at Kagura.